This newsletter, we celebrate the men in our life - our dads, husbands, brothers, uncles and more. If you are unsure of what to buy your dad or husband for Father's Day, our gift-giving guide will definitely offer you plenty to choose from. Be sure to also check out my Cityline 21 day bootcamp for daily meal plans, health tips and super foods (#21daybootcamp). All you have to do is visit www.cityline.ca to get your daily fix! You will also be amazed by some of our latest success stories at Shulman Weight Loss. From lowering cholesterol to burning belly fat, you will not believe your eyes! We now have 3 clinics in the greater Toronto area and also offer long distance plans. All you have to do is email inquiries@shulmanweightloss.com for your free weight loss assessment. To all the fathers and special men in your life, I wish you the very best this Father's day. And to my dad... you truly are the greatest... and I could not love you more. Are you looking for a 21 day bootcamp or the perfect summer survival guide? If so check out Dr. Joey's latest appearance on Cityline! 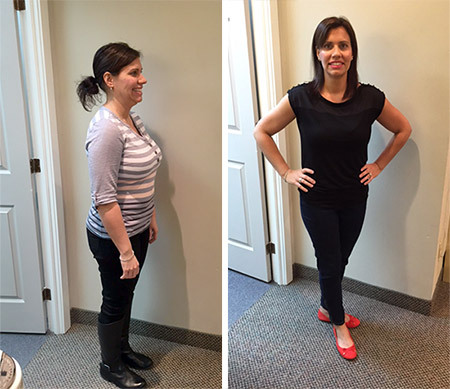 Congratulations to our client Natalie R. who reached her goal weight and lost 16 pounds and 9½ inches! 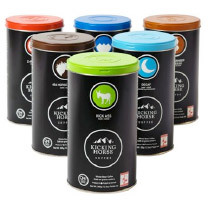 Kicking Horse coffee uses only the finest, organically grown Arabica beans from certified fair trade sources. Kicking horse is grown at higher altitudes than most other coffee beans, giving the coffee a bold and rich flavor that your dad will absolutely love. 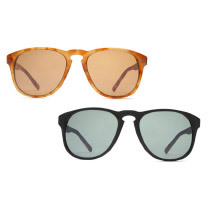 Warby Parker is a fantastic non-profit organization that focuses on stylish glasses for men and women. For every pair of glasses purchased, Warby Parker provides a pair to someone in need in a developing country. 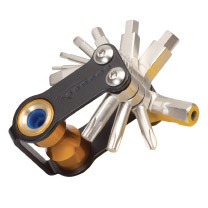 Serfas mini tools offer a compact design that is easy to use and store. If you are a biker, Serfas offers a variety of high-quality bike tools that help with everything from minor adjustments to emergency repairs. These handy light weight tools come in a variety of colors and finishes. Men cannot forget about their skin! This light, moisturizing lotion is made with naturally purifying ingredients that your dad will love. 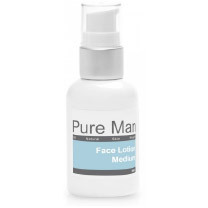 Pure Man Face gentle lotion hydrates and purifies the skin leaving your face refreshed and hydrated. Made with clean ingredients that are filled with antioxidants, such as organic borage seed oil, organic Foraha nut oil and organic nettle extract this lotion can be used day or night. I have to be honest... I have had a difficult time finding a protein powder that I can digest and feel good eating... until now! I was thrilled when I found Sunfoods sprouted, brown rice protein powder. Raw, delicious, gluten free, non GMO, vegan and uber high quality ? you will love this rich protein source in your morning smoothie. 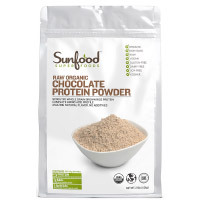 Chocolate or vanilla - available online at www.sunfood.com or at all Shulman Weight Loss clinics. 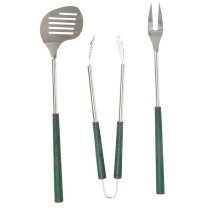 Change up the BBQ routine this summer with this fun golf themed BBQ set available at Indigo stores and online! Transfer the potatoes to a large baking sheet covered with parchment paper. Spread the potatoes in a single layer. Place in the oven and cook for 25-30 minutes, turning the fries once or twice to cook evenly. Remove once the edges slightly begin to brown and fries begin to crisp. Sprinkle sea salt on top and serve! Toast the pine nuts in oven until lightly browned. Prepare all ingredients in large bowl and add pine nuts once toasted. Drizzle with olive oil and balsamic and toss well. Combine ground beef, egg, sea salt, and freshly ground black pepper in a bowl. Divide beef mixture into 8 equal portions, shaping each into a 1/4-inch-thick patty. Heat a grill pan over medium-high heat and coat pan with cooking spray. Add patties to pan; cook for 3 minutes on each side or until cooked through. Gently pull apart the leaves of lettuce, wash and dry and place finished patties inside. Top with pesto and tomatoes. Enjoy! Michael Jordan - The LifeMichael Jordan The Life Written by basketball journalist Roland Lazenby, Michael Jordan ? The Life documents the almost 30 years of one of the most incredible careers basketball has ever seen. Michael Jordan: The Life explores both sides of his Michael's personality to reveal the fullest, most compelling story of the man who became basketball's superstar. Lazenby draws on his personal relationships with Jordan's coaches; countless interviews with Jordan's friends, teammates, and family members; and interviews with Jordan himself to provide the first truly definitive study of Michael Jordan: the player, the icon, and the man.